Some products are so simple, that they need very little explaining. I love simplicity, and the smart innovation this month is from Avon, The Professional Perfect Eyes Kit. 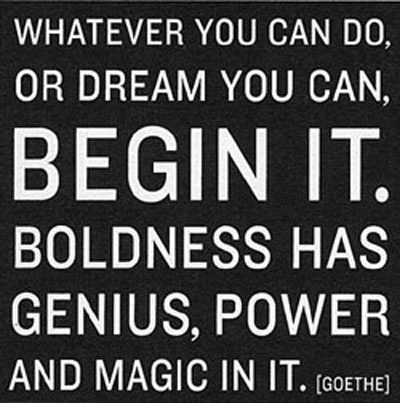 I have worked on many make-up brands and the continual consumer issue was based on lack of confidence behind trying new looks, which was founded on people being unsure how to create a new look. 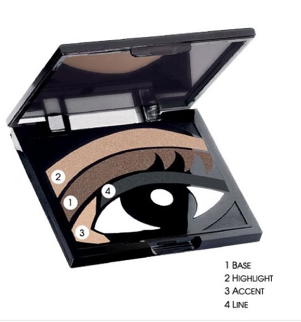 Well Avon have quite simply taken the guesswork out of creating a new eye look. The kit clearly shows you how to highlight, accent, contrast, and line eyes in a few simple steps. And the product is so cleverly designed that you can see exactly where you should be applying those shades. Calling all brands – how are you interacting with your customers via your social media sites? The Social Media Customer Service Report conducted by TNS and commissioned by customer care outsourcing provider Sitel, surveyed more than 1,000 UK consumers and found that 57% of consumers preferred to search online to solve their customer issues, and then interact with customer service on social media channnels such as Facebook, Twitter, You Tube, blogs and forums over any other method. The good news here is, if you have a great website and are using a variety of real-time information on social media platforms, your consumers are very likely going to resolve their query by posting a question on your website, or view your tutorial or demonstration from your web, or from details on your launches on your blogsite. But, if you haven’t developed a social media customer service strategy as part of your grand plan, now is the time to do so. 6) maintain strong phone support – don’t you hate that when you cannot find a phone number to ring on some websites! www.facebook.com/gillette; good level of interaction with consumers, loud messages coming through on the price of blades! http://www.facebook.com/MaxFactorUK; blocking customer feedback and interaction on the site, but great at product tutorials. http://www.facebook.com/moltonbrown; a feast of customer feedback, no need for brand managers here to do focus groups! http://www.facebook.com/misshoneyuk; great positive customer feedback for this lovely small growing brand. 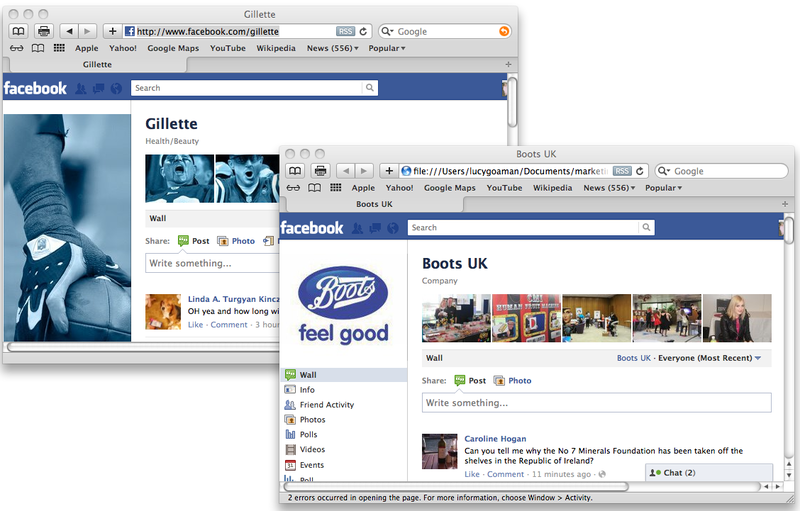 http://www.facebook.com/BootsOfficialUK; really great, open messaging. So the watch-out. Your social media strategy will blur into your customer service strategy, so make sure you are ready! Paul & Joe’s spring 2012 Meow! makeup collection can now be previewed. The line celebrates the Paul & Joe’s 10th anniversary, and the inspiration of the collection is the founder’s love of cats. I am sure most of you are familar with this line of products, and their fusion of the Parisian philosophy of enjoying life, mirrored with its kitsch, retro-chic packaging. 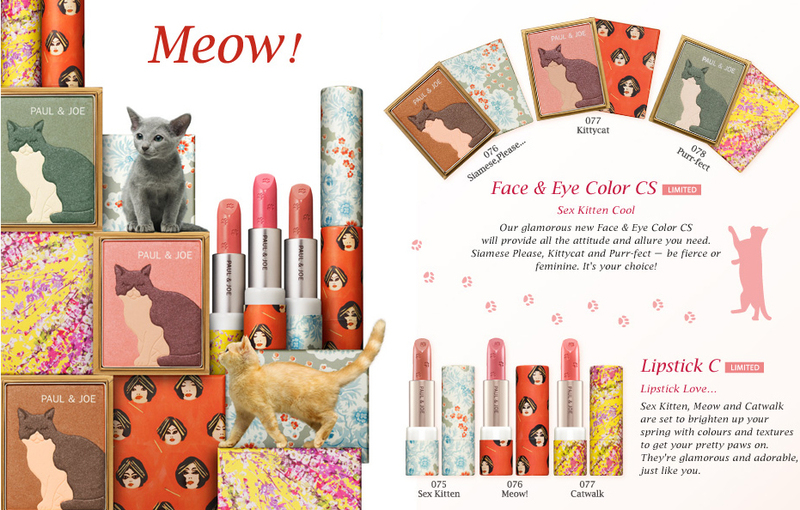 For innovation seekers check out the new Blusher Sticks (£21 each)… they’re shaped like cats! They come in shades: Glamour Puss (soft beige), Minou (pastel pink) and Cat Fight (energetic tangerine). 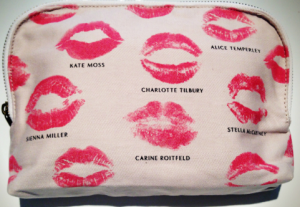 And the the lipsticks have inprints of paw prints on the lipstick bullet. 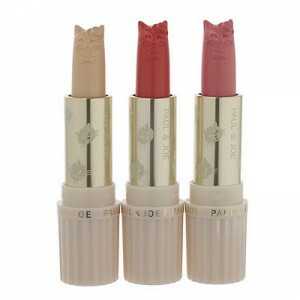 They come in shades: Glamour Puss (soft beige), Minou (pastel pink) and Cat Fight (energetic tangerine)!! Don’t you love it! The line is launching on 1st February, so when you get your paws on the products, do let me know what you think! Selfridges is enjoying the success of their revolutionary window display for its 2011 Christmas season. 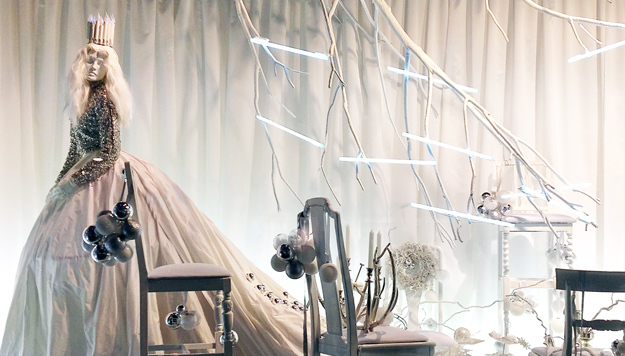 Epitomising this year’s White Christmas theme, the Oxford Street windows create a true winter wonderland in the heart of the capital. Amazingly, the windows are musical! Each window has been turned into oversized music boxes, my favourite are the ones playing re-worked Christmas carols. Shoppers are getting interactive with the windows, as each pane is equipped with a state-of-the-art touch-screen wind-up system to control the track. Then take a wander inside the store, and head for White Wonders – the ultimate destination for all beauty and fashion junkies. 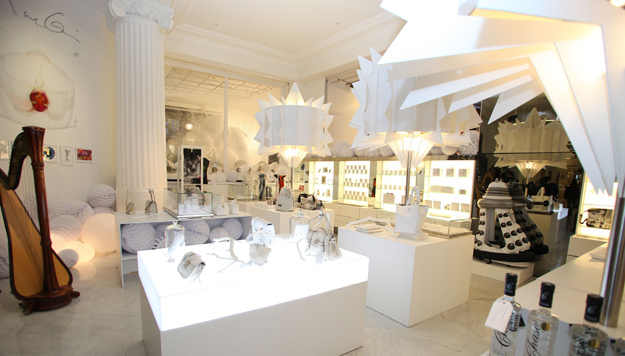 All the products in White Wonders, are, as expected, on theme, and are the most beautiful white products available, many made exclusively for Selfridges. If you are a retailer, have you transformed your window space this Christmas, and have given your shoppers a novel Christmas experience, I would love to hear about it.